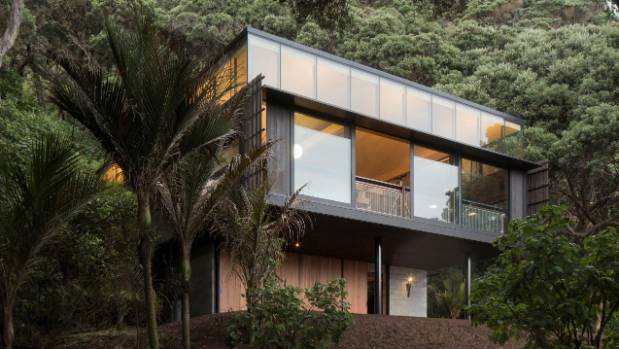 The Kawakawa House in Piha, West Auckland, has been named Home of the Year 2018. 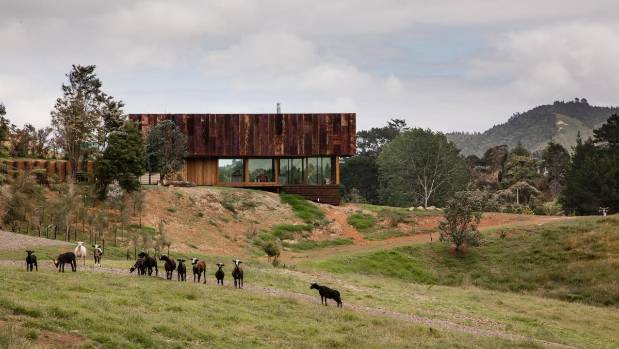 A house nestled among a centuries-old pōhutukawa forest has won a nationwide architecture award. ‘Kawakawa House’, designed by Lance and Nicole Herbst of Herbst Architects, has won the title of HOME Magazine Home of the Year 2018. The house, at Piha on Auckland’s rugged west coast, sits at the base of a steep hill near the beach which is nearly completely covered with mature pōhutukawa trees. A continuous window runs all the way around the house to let in the light. To combat the lack of sunlight, the Herbsts built the house on stilts and placed the living areas on the top floors, high among the tree canopy. 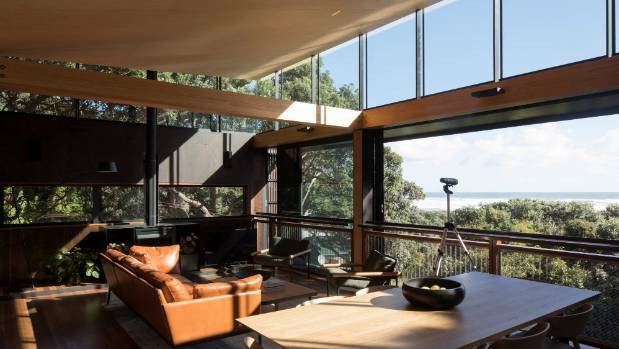 A window also runs all the way around the upper perimeter, “in order to take advantage of the spectacular view of the pōhutukawa trees and mountain surrounding the house, as well as to let light in from above”, Lance Herbst said. The Herbsts earlier won the Home of the Year award in 2016 with ‘K Valley House’, which is clad in a rusted corrugated iron “rainscreen”. The home is shaped like a square doughnut with a courtyard in the middle, which provides……….